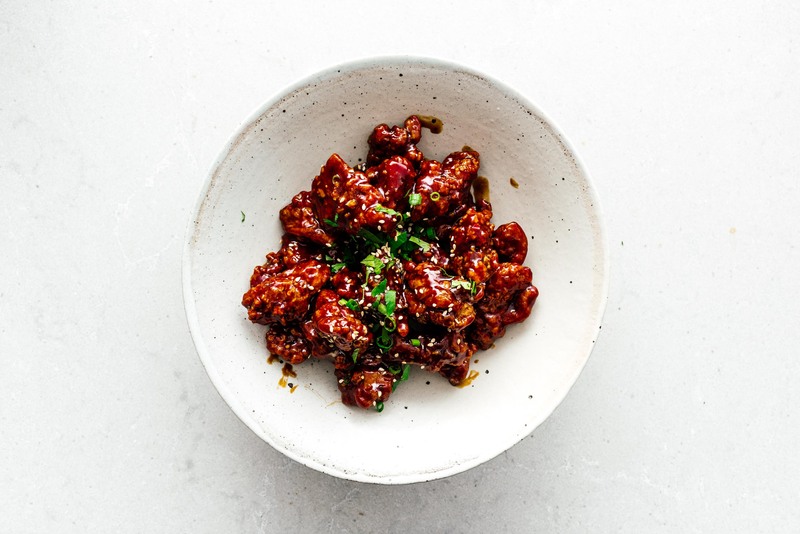 Make General Tso's chicken at home! It's better than takeout: crispy, tangy, sweet, and absolutely addictive. I have a guilty pleasure and it’s takeout Chinese food. Give me ALL the deep fried meats coated in sweet and glossy sauces. 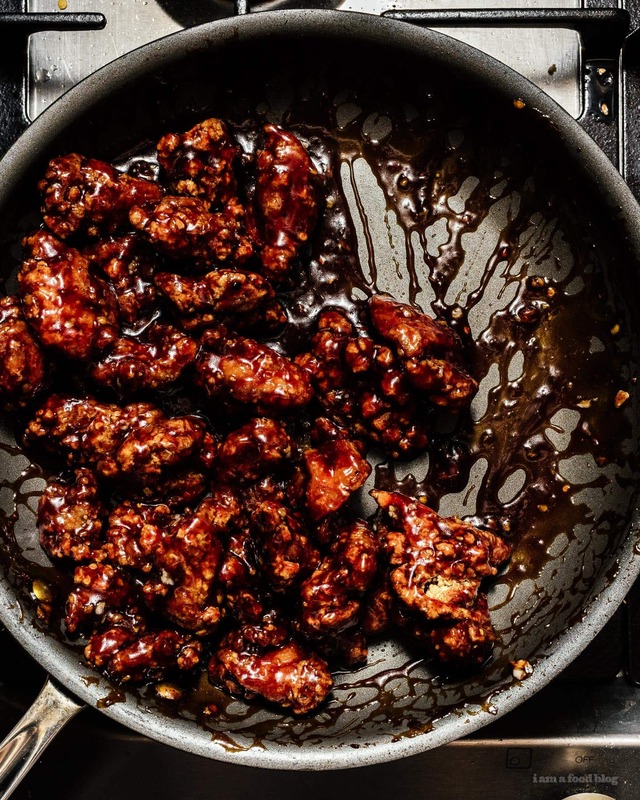 I love orange chicken, sweet and sour pork, honey garlic anything and…now, General Tso’s chicken. To be honest, I’ve never had General Tso’s chicken. I’ve watched the Netflix documentary and I’ve seen it, but for some reason I’ve never had it. 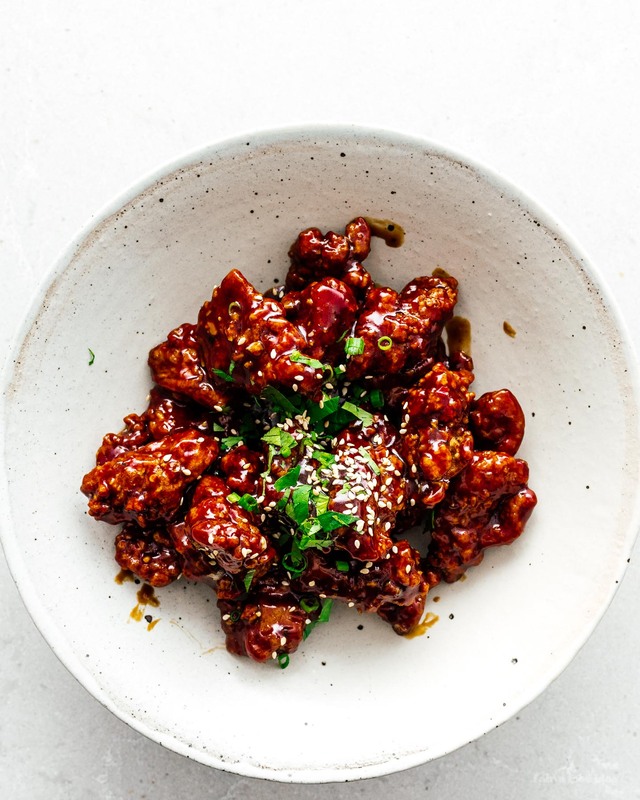 I think it’s because when I developed my Chinese takeout palate, I was a kid and as a kid, General Tso’s chicken seemed spicy. Anyway, it’s not spicy. It’s tangy, sweet, crispy, and good. 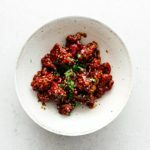 This is a fairly easy recipe to make, but it takes a little bit of commitment because you’re frying up tiny pieces of chicken. The good news is that you get to eat all of the tiny pieces of fried chicken coated in a sweet-soy glaze! 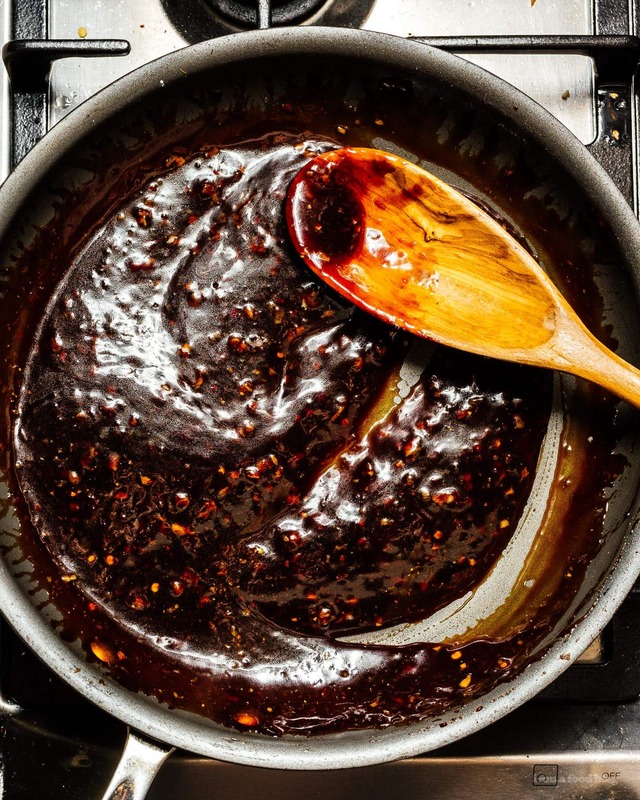 In a large bowl, whisk to together the egg whites, soy sauce, 1 tablespoon Shaoxing wine, 1 tablespoon of cornstarch, salt and white pepper, until light and frothy. Add the chicken pieces, coat and let sit at room temperature while you heat up your oil. Place 1 cup of cornstarch in a bowl. 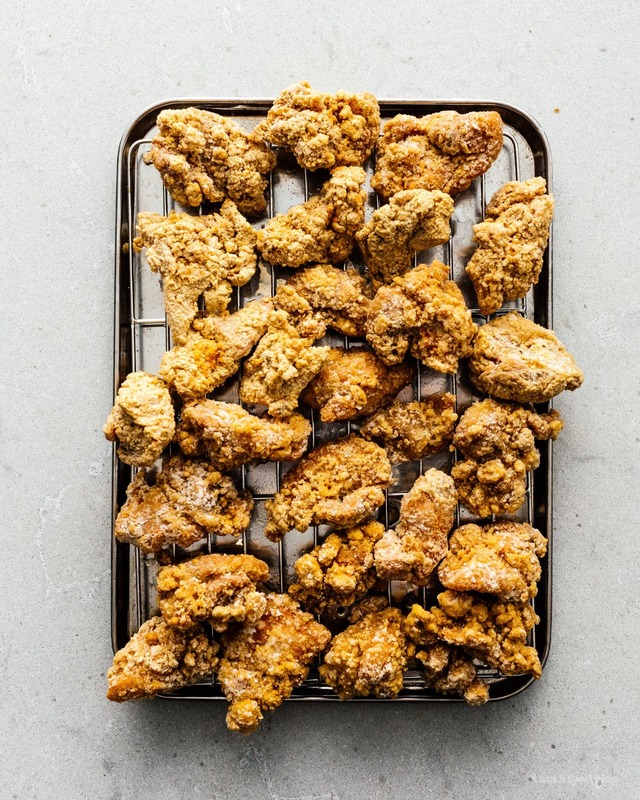 Spoon out 2 tablespoons of the egg white mixture from the chicken and whisk into the cornstarch to form small clumps – these will add extra crispy bits to your chicken. Work in batches to throughly coat several pieces of chicken in the cornstarch, shaking off the excess. Use a pair of tongs to gently add the chicken to the hot oil, being careful not to crowd the pan. Cook until golden brown and crispy, about 5-6 minutes, flipping as needed. Drain the chicken on your prepared rack and keep warm in the oven. In a bowl, whisk together 1 tablespoon of Shaoxing wine with 1 tablespoon of cornstarch until smooth. Whisk in the chicken stock, soy sauce, vinegar, sugar, and toasted sesame oil. Set aside. In a large skillet, heat up a bit of oil over medium heat and add the garlic, ginger, and chili. Cook, stirring, until soft but not brown, 2-3 minutes. Add the sauce ingredients and cook, stirring, until the sauce comes to a boil and starts to thicken. Turn off the heat. Remove the chicken from the oven and add to the sauce. Toss throughly to coat and enjoy immediately. Any suggestions for substitutes for the Shaoxing wine? you could try pale dry sherry, which i heard is an appropriate sub, but i haven’t tried myself. shaoxing is kinda of one of those ingredients, it’s annoying to get, but once you have it, you’ll see it turning up again and again in chinese food, so it might be worth it to grab a bottle. they’re relatively cheap and will last a good long time. if you try the sherry, let me know how it goes!